The Comfort Inn & Suites in Henderson, Nevada caters to business and leisure travelers alike with its convenient location, its comfortable rooms and its rather complete facilities. In regards to the location, you can find the Comfort Inn & Suites Henderson near such popular attractions as Sam Boyd Stadium, the Henderson Convention Center, the Las Vegas Convention Center and the University of Southern Nevada. Also within easy reach of the hotel is the McCarran International Airport and everything that the famous Las Vegas Strip has to offer. 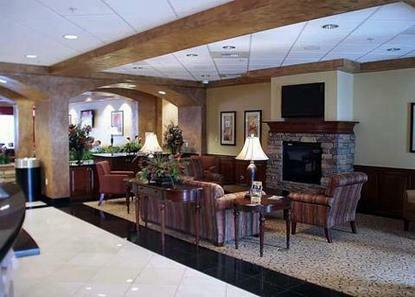 There are 127 rooms and suites at the Comfort Inn & Suites Henderson. Each of these guest units is clean, comfortable and equipped with such delights as a flat screen TV and pillow-top mattresses. Microwaves and mini fridges also come standard, and it doesn’t cost extra to access the internet. Outside of the rooms and suites, guests of the Comfort Inn & Suites Henderson will find a business center, banquet and meeting rooms, coin-operated laundry facilities, a fitness center and an attractive outdoor pool and hot tub area. Add in the free morning breakfasts, and it only becomes more clear that the Comfort Inn & Suites Henderson can make for a fantastic Las Vegas area lodging choice.